was founded in 1865 on a 9000 acre land in the agave-rich state of Tamaulipas. 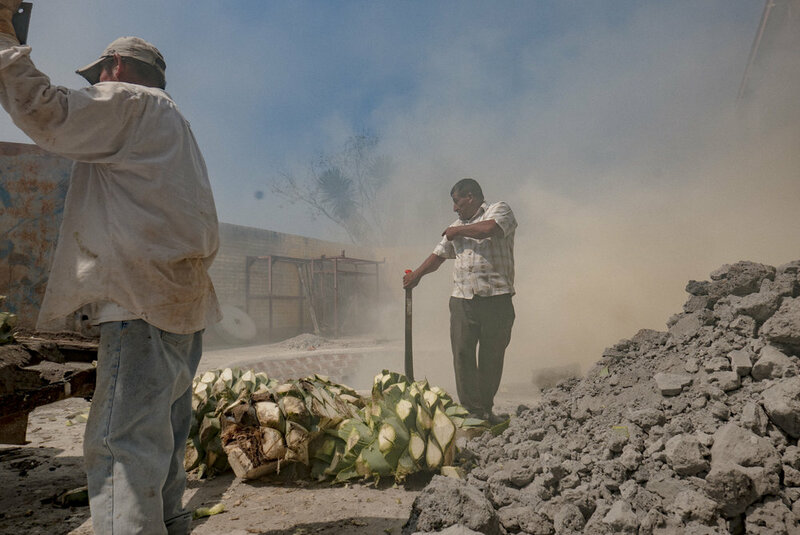 Today the ranch is owned and operated by the Peréz-Salinas family who have restored the tradition and legacy of the ranch's artisanal, wild-harvest mezcal production. With this in mind, the ranch of today operates in much the same way it did in 1865. The one major and mind-blowing change that has occurred has been the introduction of exotic animals such as zebras, wildebeest, water buffalo, watusi, oryx, elan, blackbuck, sika deer, red deer... This turns an already fascinating geography into a very unique haven in the northeastern Mexican landscape. The ranch also has 100 head of cattle, orange trees and a plethora of rattlesnakes, white tail Miquihuanense deer, wild pig, hare, rabbit, and more.